Refresh Earth Wallpapers is an excellent quality digitally rendered 3D conceptual wallpaper of various sizes. 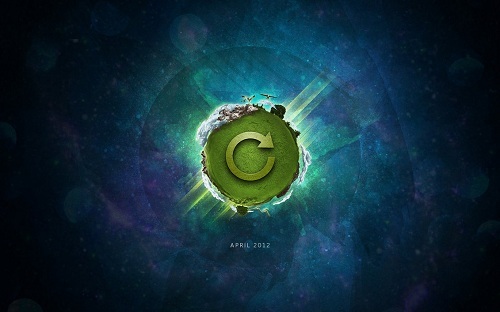 Refresh Earth Wallpapers is created by erickthedesigner using Adobe Photoshop. It is a JPG download, Click the button below to go to the page to download the size you need. This Article Has Been Shared 5172 Times! Cite this article as: Abhishek Ghosh, "Refresh Earth Wallpapers for Windows PC, Mac, iPad, iPhone," in The Customize Windows, May 23, 2012, April 24, 2019, https://thecustomizewindows.com/2012/05/refresh-earth-wallpapers/.